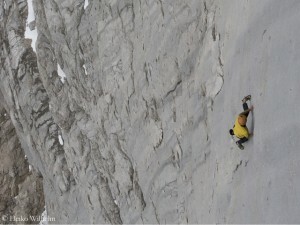 Actually, he was planning to go on another expedition with his friend and climbing partner Alex Blümel. But Alex had to call off due to health problems. 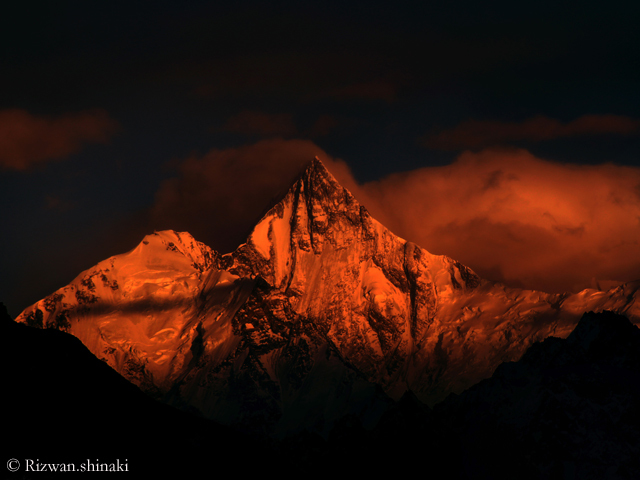 In November 2016, the two climbers had succeeded the first ascent of the North Face of the 7,005-meter-high Gimmigela East in eastern Nepal, in Alpine style, i.e. without fixed high camps, Sherpa support and bottled oxygen. 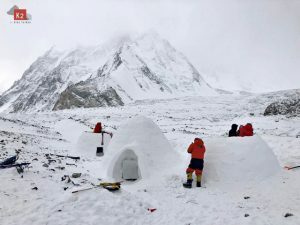 In fall 2015, they had mastered, together with their compatriot Gerry Fiegl, the South Face of the 6,839-meter-high Nilgiri South for the first time in western Nepal. Fiegl had shown symptoms of high altitude sickness at the summit and had fallen to death on their descent. 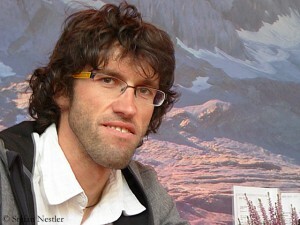 Also beyond the climbing scene, Auer had become famous for his spectacular free solo climbs in the Alps. In 2007, for example, he made headlines worldwide when he climbed the difficult Fish route through the South Face of Marmolada in the Dolomites for the first time free solo. 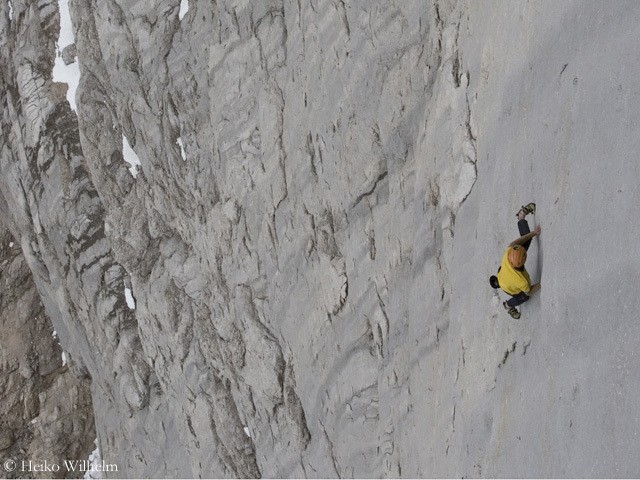 So it is nothing new for Hansjörg to climb alone. 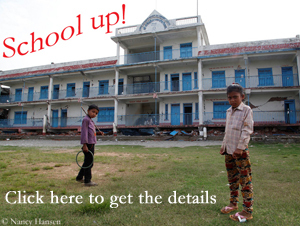 But on an expedition? 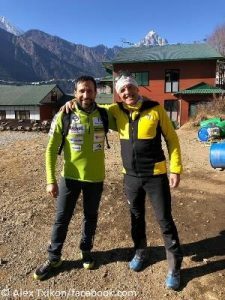 “Now I won’t be able to count on my friends to help me in the decision making,” Auer said in an interview with planetmountain.com, “and as I see it this lends the project a very special taste. If I’m honest and ask myself why, then this is a taste I’m always looking for somehow.” He would certainly feel “even more exposed”, said Hansjörg: “I’m intrigued to find out if I’ll have lot of fun or if I’m going to get scared and come back after three weeks. It’s going to be a completely new experience.” Only in the base camp, a cook and a Pakistani companion will be waiting for Auer. 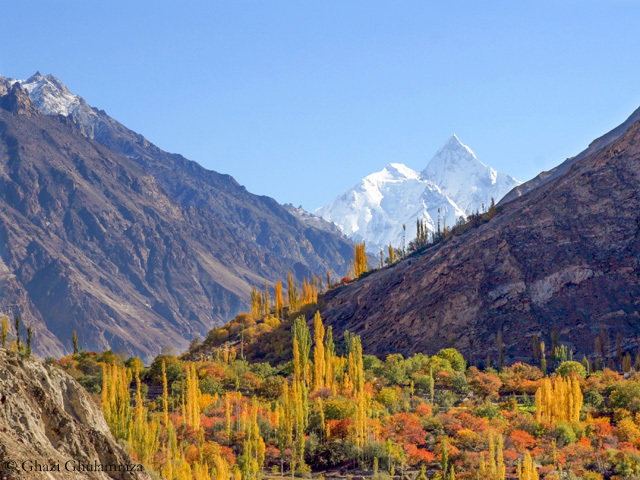 The rarely attempted seven-thousander Lupghar Sar – which means “top of the big rock” – has three almost equally high summits and is located in the Hunza region in northern Pakistan. The West Summit was first climbed on 18 June 1979 by Hans and Sepp Gloggner, who were part of an eight-member expedition team from Tegernsee in Germany. The brothers climbed via the Southwest Ridge, “over terribly rotten rock “, as Hans Gloggner later reported in the “American Alpine Journal”: “Slabs and blocks of rock teetered on the slope, held by an insecure mortar of ice. We finally reached the top so late in the day that we had to make a miserable summit bivouac. 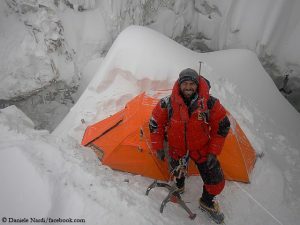 The climb had been so dangerous that no further summit climbs were made (on this expedition).” Hansjörg Auer has chosen an extremely ambitious goal for his solo adventure.